In 2017, shoppers spent $14.3 billion shopping for Father’s Day according to Statista, and we can expect a similar trend this year. So, how can you get into the Father’s Day action? Try the following 6 tips. Like with any other holiday, you’ll want to set up a special Father’s Day display in your store so you can showcase your dad-centric merchandise. Depending on what you’re selling, they could include men’s apparel, electronics, and home improvement products, among other things. Don’t have a lot of merchandise for men? Consider selling gift cards or greeting cards instead. Take a look at what the UPS Store on 38th & Peach is doing. Since they’re more of a printing and mailing shop, they don’t sell the typical dad-centric merchandise like menswear or electronics. That didn’t stop them from getting in on the Father’s Day fun, though. To stay relevant, this UPS Store stocked up on a bunch of greeting cards you can give to dad. We can expect ecommerce to be a significant retail channel for consumers buying presents for dad. Last year, 33.7% of shoppers said they planned to purchase Father’s Day gifts online, and we can expect similar behavior this year. What does this mean for you? Well, if you’re not ramping up your online strategy yet, it’s high time to do so. Start with the low-hanging fruit and add a banner or section on your website specifically for Father’s Day. Also be sure to craft an email marketing campaign encouraging people to check out your store for some great gifts or gift ideas. One retailer that’s executing this incredibly well is Untuckit. In mid-May, they sent out a Father’s Day-centric email featuring matching styles of men’s and boys’ shirts to promote a “like dad, like son” message. Untuckit also has a special section on their website to showcase these styles. And to top it all off? They’re running a dad’s day promotion in which shoppers can buy a men’s shirt and get a boys’ shirt for 50% off. 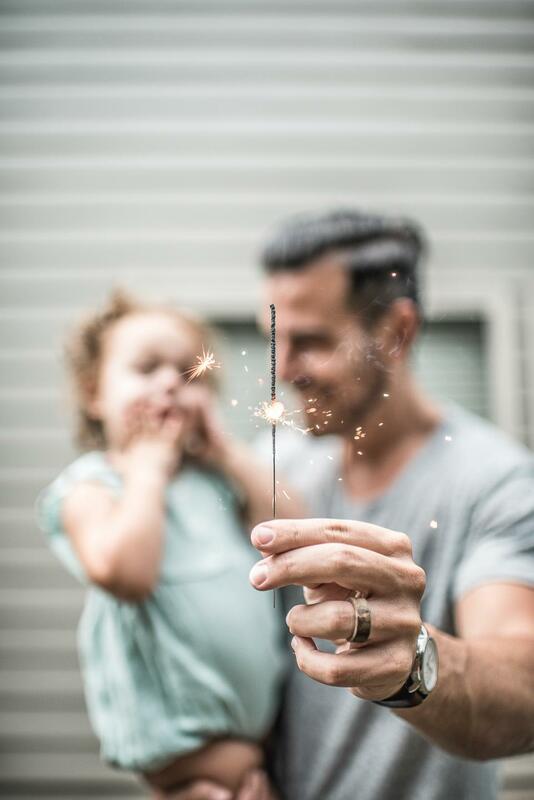 Speaking of promotions, if you’re looking to further entice people to buy their Father’s Day gifts from your store, consider applying promotions to specific products or categories. Like Untuckit, you could do something along the lines of buy a men’s shirt and get a discount on your other purchase. Other examples include: buy and save off specific items (e.g., “Buy two men’s shirts and save 20%”) or buy a certain number of items, then pay a fixed price (e.g., 5 men’s ties for $80”). If you have a loyalty program, consider rewarding shoppers extra points or dollars for spending on specific items. MyDIY.ie implements this for slow-moving products, but you can apply the same concept for items that you want to sell around Father’s Day. You can, for instance, offer double or triple loyalty points for categories like menswear, electronics, or sports. If there’s one time of the year when dad jokes will be (fairly) well-received, that would be Father’s Day. So, consider injecting some dad humor in campaigns. Whether it’s adding a joke in your next email or posting a funny dad quip on Instagram, grab the opportunity to crack some dad jokes — they’re very timely and you might even get some laughs out of it! Meanwhile, Zazzle created a section on their site specifically for funny Father’s Day presents. We talked a bit about gift cards earlier in this post, but they’re worth mentioning again. As of last year, gift cards were the third most popular gifts for Father’s Day (next to special outings and clothing). There’s certainly a case for stocking up on gift cards for the occasion — particularly if you don’t sell experiences or menswear. If you haven’t done so yet, order a few Father’s Day-themed gift cards and put them in key areas of your store, such as the checkout counter and those special displays we talked about earlier. To combat these stereotypes, Dove created a great campaign focusing on father’s who care. Take a look at one of their videos below. Examine your offers or messages for Father’s Day to determine if they would really resonate with your target customers. Ask yourself, what type of dad would use your products? Would it be the macho or aloof type? Or would be someone who’s warm or cares about his appearance? Also, consider how moms or kids see the father-figures in their lives — after all mothers and children would be your main customers for this holiday. Find out their perceptions around dads and then make sure that your campaigns reflect those perceptions.